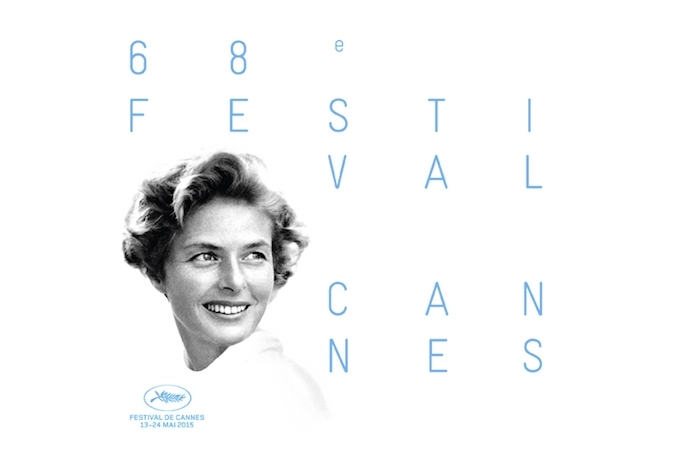 Having featured Marcello Mastroianni last year, the 68th Festival de Cannes pays tribute to Ingrid Bergman with this year’s poster. Hollywood star and legend Ingrid Bergman is the face of the 2015 Cannes Film Festival, revealed with the launch of this year’s poster, capturing the actress in all her beauty. Bergman was a modern icon, an intrepid actress, and a figurehead for the new realism. She changed roles and adoptive countries as the mood took her, but never lost sight of her quintessential grace and simplicity. She also worked with all the greats of the industry, including the likes of Humphrey Bogart, Gregory Peck, Alfred Hitchcock, and Ingmar Bergman, and was also President of the Jury for the 1973 festival. “My family and I are deeply moved that the Festival de Cannes has chosen to feature our magnificent mother on the official poster to mark the centenary of her birth,” said Isabella Rossellini. The photograph featured on the poster for the 68th Festival de Cannes was orginally taken by David Seymour, and the poster was created by Hervé Chigioni of the Magnum Agency, with his graphic designer Gilles Frappier. The 68th Festival de Cannes will take place from 13th to 24th May 2015. The Jury will be presided by the American directors Joel Coen and Ethan Coen. The Official Selection will be announced on Thursday 16th April.